The Camino de Santiago from Pamplona to Logroño is the second section of the French Way, starting from the city of Pamplona (“Iruña” in the Euskera language), a city famous for the San Fermín running of the bulls that takes places every year from July 7th-14th. 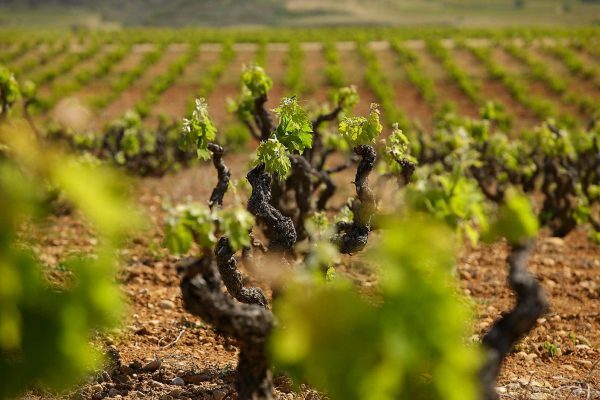 The second section of the French Way ends in the city of Logroño, capital of the La Rioja region, which is famous for its exceptional wines. 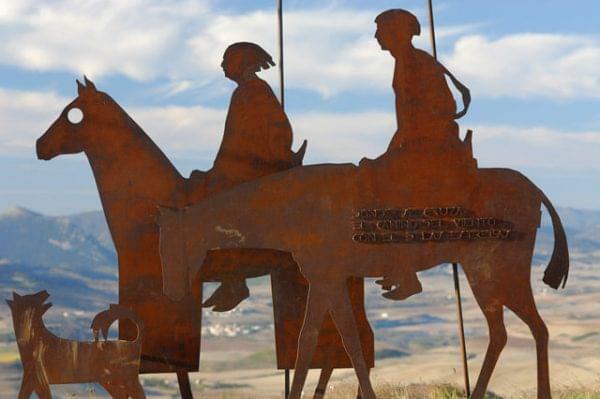 Throughout this section, from Pamplona to Logroño, we will pass by the famous pilgrim sculptures in Alto del Perdón, and from there we will get to enjoy panoramic views of the city of Pamplona and its surroundings. Throughout this section we will walk along beautiful mountains and areas that are full of vineyards, crossing medieval bridges and passing several castles and churches. We will also have the opportunity to discover beautiful villages along the trail such as the towns of Puente de la Reina, Cirauqui, Estella and Viana. We recommend stopping at the famous Bodega Irache winery, where we can rest and drink from their wine fountain completely for free. Have an unbeatable experience on the Camino de Santiago from Pamplona! We will begin the second section of the French Way in the famous city ofPamplona. Pamplona is world renowned for its San Fermín running of the bulls. In Pamplona we can wander around itsmedieval streets, visit its cathedral and enjoy its local cuisine. For pilgrims who are fans of Ernest Hemingway, they can go on a literary tour throughout the city and have a coffee in a few of this famous writer’s favorite spots, such as in the ‘Plaza del Castillo’ square. 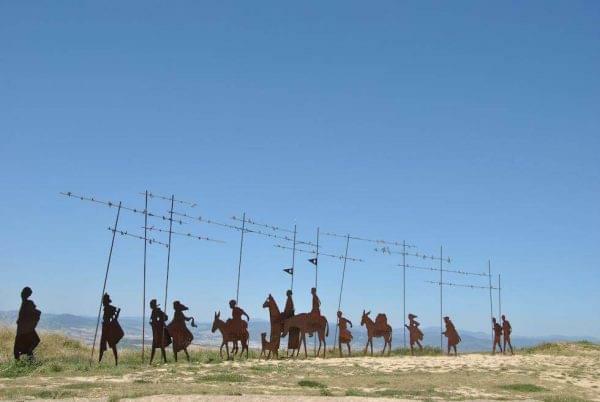 We will start the ascent to Alto del Perdón, where we will be able to take pictures of the pilgrim sculpture at the top and enjoy the unbeatable panoramic views of the city of Pamplona and its entire valley. 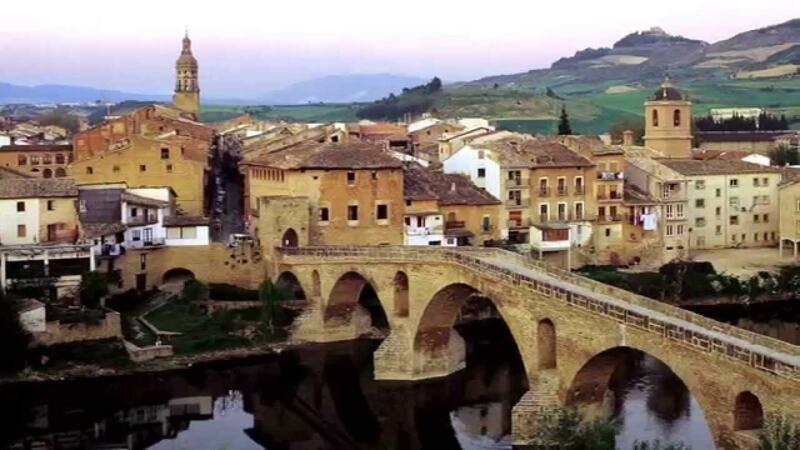 Then we will start our descent towardsPuente de la Reina, famous for its medieval streets and its impressive bridge from the 11th century over the Arga River. We will continue our Camino de Santiago through farmlands, small villages and towns surrounded by olive groves, grain fields and small vineyards. We will pass through Cirauqui perched on the top of a hill that will amaze us with its small medieval streets. Here we can find one of the best preserved sections of the Roman road. Later on we will reach Estella. After getting to enjoy the city of Estella and its several monuments, we will continue our journey to Los Arcos. When leaving Estella, we will pass by the Bodegas Irache winery where we will have the opportunity to enjoy its Wine Museum and liven up our day by drinking from its free wine fountain. The Bodega Irache winery is a great place for taking a break and soaking in some of the area’s wine culture. Along the route to Los Arcos we will cross vineyards, olive trees and large grain fields. Once we pass Villamayor de Monjardín, we will head to Los Arcos and continue walking for 12 km without passing through a single town. We will continue our Camino de Santiago on a very pleasant walk through the countryside. We will pass by the ruins of the Clavijo Castlebefore arriving at the city of Logroño. Logroño is famous for the quality of its wines and its exquisite tapas. On Logroño’s Laurel Street we will be able to try some of the typical food from the La Rioja region. If walking 27 km all in one go is too demanding for us, we can choose to divide the section from Los Arcos to Logroño in two stages. The first section is 17 km long and goes from Los Arcos to the pretty town of Viana, where we will get to rest in a cozy hotel. The second section is 10 km from Viana to Logroño. Our last day of section 2 of the French Way will be spent in the city of Logroño, capital of La Rioja. In Logroño we recommend visiting its old town where we can find the Gothic Cathedral of Santa María and several Romanesque churches, one of which is the Church of San Bartolomé, famous for its beautiful carved portico. We can also visit the Church of Santiago. The festival of San Mateo takes place in Logroño in September, which celebrates the grape harvest of the La Rioja region’s vineyards. If you want to try some of the city’s best tapas, we recommend heading over to Laurel Street. 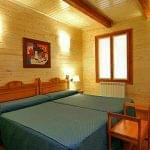 Extra night in Logroño: €55 per person. Transfer from Logroño to Pamplona: €140. 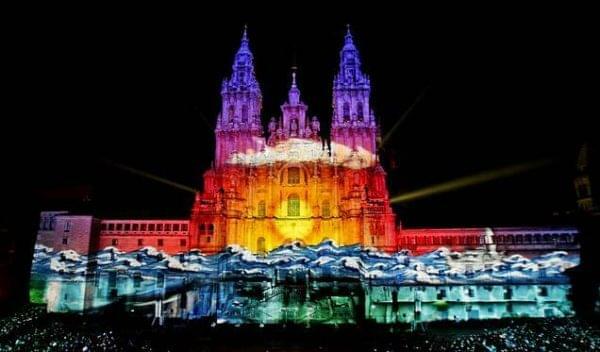 Two of the most emblematic cities in northern Spain are connected thanks to the Camino Frances to Santiago from Pamplona to Logroño. Indeed, Pamplona is the starting point of the stretch of the Camino Frances to Santiago that we will talk about below. It is a route that crosses beautiful landscapes that, at the same time, have many incentives to complete it, in terms of history, heritage and culture. 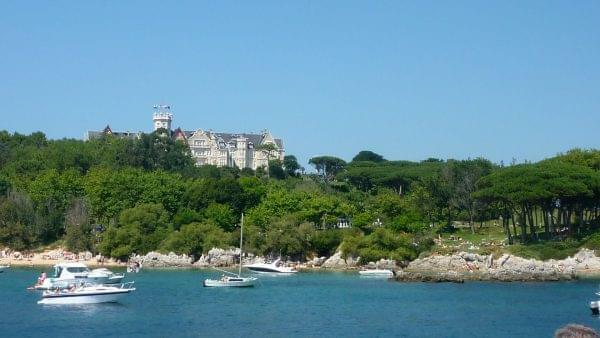 Do not miss it: it is possible to make this route with Santiago Ways. Why choose the Camino de Santiago Frances from Pamplona to Logroño? 1.- Its great infrastructure: one of the most noteworthy aspects of the Camino Frances in general and the stretch of the Camino de Santiago from Pamplona is the high quality of its infrastructures. Indeed, it has good roads, the whole itinerary is well signposted and there are enough points along the route to stock up on everything that we need. This makes the route one of the favourites for those who want to start in the adventure of the Camino de Santiago. 2.-Great scenic beauty: Another reason why to complete the Camino de Santiago from Pamplona to Logroño is the enormous variety of landscapes that we travel through. Although we will tell you more specifically which are the main places of interest, we want to inform you that this route runs through forests, vineyards and, of course, historical and urban places of special interest. 3.- Gastronomy: For all the people who make the Camino Frances from Pamplona to the capital of La Rioja, gastronomy becomes an incentive to repeat the experience. This is because part of a city of special gastronomic importance like Pamplona and for different points that we will find in the way that offer the best natural products of Navarre and La Rioja. Later on, in fact, we will propose some suggestions of restaurants to visit. 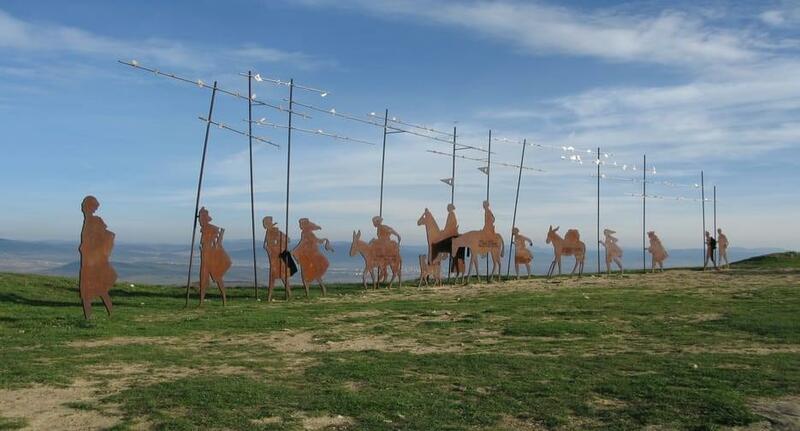 The Camino Frances de Santiago from Pamplona to Logroño has a duration of 6 stages with 5 corresponding nights. It is one of the most affordable sections for those who also start with this issue: it has a length of 94 kilometres with excellent infrastructure, as we have said previously. It starts from the emblematic city of Pamplona and crosses numerous places surrounded by vineyards, medieval buildings and architecture, as well as emblematic resting places to enjoy, such as mountains and viewpoints. It is, therefore, one of the most popular and one of the routes that has most pilgrims throughout the year. It is, therefore, an excellent opportunity to make travel companions for a lifetime. 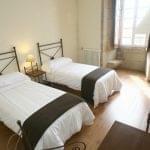 With Santiago Ways, it is possible to book this option of the Camino Frances de Santiago throughout the whole year. 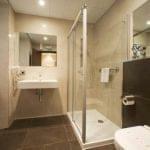 You can include breakfast and dinner or only breakfast, and always in the best hotels along the whole route. We want to talk about the most popular routes among pilgrims from the Camino Frances de Santiago. Indeed, although in general the whole route is travelled by thousands of pilgrims throughout the year, we want you to know what the best options are. One of the most exciting options is the Camino Frances to Santiago from Saint Jean Pied de Port. It has a total length of 66 kilometres and a total duration of 4 nights and 5 days. It finishes its tour in Pamplona, so it is the section immediately preceding that we are presenting - the Camino Frances from Pamplona to Logroño. The stretch of the Camino de Santiago from Sarria has a length of 111 kilometres. 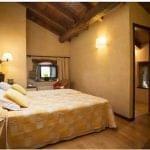 It is distributed in 7 stages with its corresponding 6 nights in the best hotels with Santiago Ways. 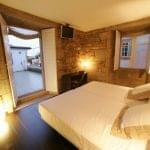 It is a route that departs from the medieval town of Sarria and finishes its itinerary in Santiago de Compostela. So another reason why it is so popular is precisely that it is the stage that completes the Camino de Santiago. We also offer the maps of the Camino Frances de Santiago from Pamplona to Logroño. With this, you can get an idea of what the overall route we will carry out as well as the localities through which we will make our route. Here we will tell you about the profile of the Camino Frances from Pamplona. In other words, we will talk about its average altitude as well as the highest points to which we should ascend. This has a lot to do with the potential difficulty of each of the routes, so it is an aspect that we must take into account. Despite this, we can anticipate that the Camino Frances from Pamplona has no special difficulty: The biggest ascent is progressively between Pamplona and the Alto del Perdón (a total climb of 300 metres). We also detail what are the stages that we will face in our pilgrimage on foot. With this, we hope that you get an idea of what is the daily average of kilometres travelled and which are the places you will pass through. Stage from Pamplona to Puente la Reina. Stage from Puente la Reina to Estella. Stage from Estella to Los Arcos. Stage from Los Arcos to Logroño. How long does the Camino Frances from Pamplona to Logroño take? For pilgrims who decide to make the Camino de Santiago from Pamplona on foot, it must be said that it has a total duration of 6 days and 5 nights. In fact, the entire route of 94 kilometres is divided between this number of stages along wonderful landscapes. Yes, the time that you take will depend on each pilgrim. With regard to the Camino by bicycle, it must be said that this time can be halved. It is true that the stages of ascent will require more time, for example, the area of ascent between the Guenduláin Reservoir and El Alto del Perdón. In them, the time can be slightly delayed, although later we will recover that time in the subsequent descent. So that you have all the information you need, we want to talk also about what is the best date to make the Camino Frances de Santiago from Pamplona to Logroño. Rather, we will show you which advantages and disadvantages you have every month so that you can choose for yourself. The month of January is a month chosen every time by more pilgrims due to the charm of the last days of Christmas and because these give free time to be able to carry out this route. In February the temperatures begin to rise and are more benign compared to the month of January. 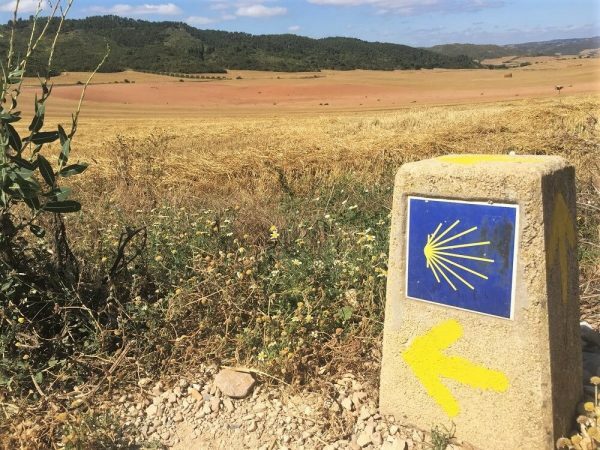 There are not too many crowds and, in short, it may be a good time to start our pilgrimage along the Camino de Santiago from Pamplona to Logroño. In March, spring is already beginning to let its influence be noticed. The whole landscape of the vineyards of Navarre and La Rioja begin to show the joy of their colours. The weather is definitely milder, although you have to have to be careful with possible rains. In this month many pilgrims are encouraged to make the Camino Frances de Santiago from Pamplona. They do it because in these dates Holy Week is celebrated during this month. During the month of May, the risk of precipitation increases considerably. However, with planning, we will be able to enjoy the benefits of mild temperatures and of avoiding overcrowding. In July, there are the San Fermín festivities in Pamplona (from July 6th) and the Apostle's Day in Santiago (July 25th), so that many pilgrims can enjoy these festivities one after the other. The month of August is another of the most popular. It is because in the north of Spain is not as hot as in the rest of the country, so people take advantage to "flee" from their respective autonomous regions. In September, autumn can offer us the best of its fruits. In regions of incomparable beauty such as the Vega Navarra and Alava, the colours are soft and beautiful. As in September, but with the added incentive that the temperatures are even milder in the month of October, it is also a good opportunity to make the Camino de Santiago from Pamplona to Logroño. Be careful, however, with the risk of precipitation. In November the temperatures begin to fall. For the Camino Frances de Santiago from Pamplona to Logroño, this is not an excessive inconvenience. In fact, also during this season, the temperatures are mild because they are under Atlantic influence. In December, the temperatures go down further, although we can enjoy the great beauty of the environment and of course, take advantage to celebrate an unforgettable Christmas in any of the localities that we are passing through. We want to introduce you now a selection of the places that you can not miss when completing the Camino de Santiago from Pamplona. In it, we include not only places of interest as monuments but also the best hotels and the best restaurants along the way. This is the highest point of the whole route and, consequently, the one that all the pilgrims have the most affection for. It is a sculptural ensemble where different pilgrims are represented throughout history. This locality was one of the most important in Spain not only during the Carlist War, in which it became the capital of the side with the same name but also during the entire Civil War confrontation. It is a beautiful town where we must stop to seal our pilgrim's credential. To do this, we do it by passing through a big central door and end up coming out the other end. It is the point where the French/Navarre and French/Aragon routes come together. This magnificent bridge located in Navarre of medieval origin owes its name to the wife of Sancho the Elder. It is located on the River Arga and gives its name to the locality to which it gives way to. 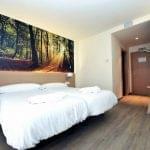 With Santiago Ways, you will rest in the best hotels arranged along the route of the Camino Frances from Pamplona to Logroño. We assure you that you will have the rest you deserve and that you can enjoy the experience of the road as you would wish. Asador Olaverri: If before you start your pilgrimage you want to do it by giving yourself a small homage, we recommend you to visit the Asador Olaverri, located in Pamplona. 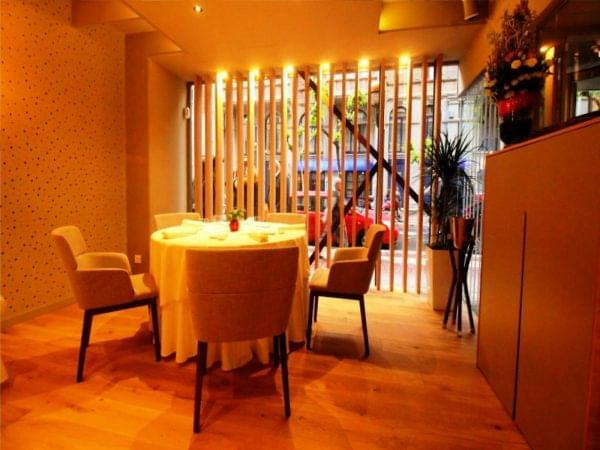 It is a steakhouse where they will offer the best specialities of the area, especially meat and at an affordable price. Restaurante Navarra: Located in the villa of Estella, this restaurant has a long history that we ourselves can check out in its cosy atmosphere. The price is affordable and they specialized in meats and fish dishes. Restaurante Ikaro: Already in Logroño, a great way to put to an end to our adventure on the Camino Frances from Pamplona is to visit this establishment. It has elaborate cooking and personnel who use products from the orchard of La Rioja as the base of their preparation. The origin of this stretch of the Camino Frances de Santiago dates from the times of the Spanish reconquest. Indeed, the original road is actually the Camino del Norte. However, as the reconquest was advancing, it was gradually abandoning that route (much more rugged) and the Camino Frances took more and more prominence. Therefore, the union that the Camino Frances de Santiago makes from Pamplona to Logroño has numerous cultural and historical remains of that epoch and others. Proof of this is, for example, the municipality of Estella, which shows in itself the whole historical crucible of Europe. We want you to know about the opinion of other users. They are people who have already made this route from the Camino Frances de Santiago from Pamplona to Logroño with Santiago Ways. We hope it helps you understand how many great things are waiting for you. Finally, we want to share with you some pictures and videos of the Camino Frances de Santiago from Pamplona so you can see everything that is waiting for you on this magnificent route. We hope you encourage yourself to live it as you deserve with Santiago Ways.